In the first three quarters of 2018, 90 cryptocurrency hedge funds were launched, expecting to be on track to reach 120 for the fiscal year, according to Crypto Fund Research. 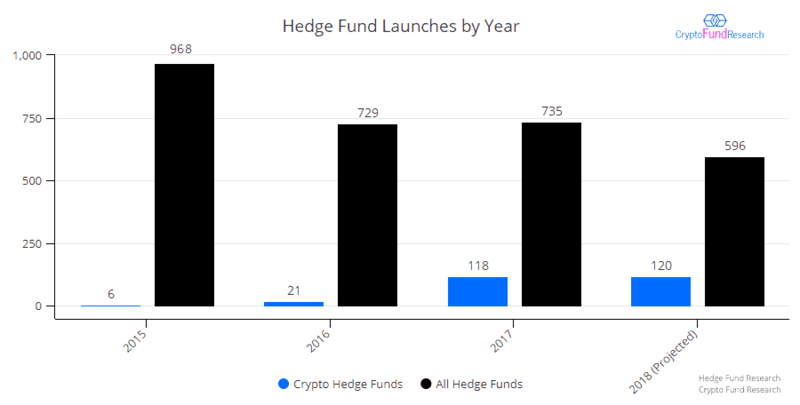 The record rate of new crypto hedge fund launches challenges traditional thinking that hedge funds tend to launch most frequently in bull markets. Leading cryptocurrencies, like Bitcoin and Ethereum, are down 50% or more YTD 2018. According to Hedge Fund Research, approximately 600 hedge funds, both traditional and crypto funds, are expected to launch in 2018. 20% of these, will be crypto hedge funds. Crypto hedge funds invest largely, or exclusively, in cryptocurrencies like Bitcoin, Ethereum, and Ripple. Some also invest and trade in initial coin offerings (ICOs). The amount of crypto hedge funds are surely on the rise, In 2017 they accounted for 16% of all launches, up from less than 3% in 2016. Two thirds of all currently operational crypto funds have launched in the last seven quarters, through Q3 2018. Previous articleWoz U and BlockGeeks Announce New Partnership, offering Career Training with Expertise in Blockchain Technology. 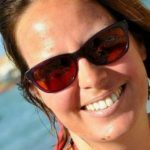 Next articleA Race Is on to Put Poker on Blockchain: What Qualities Does the Winning Platform Need?